Some drivers in Bridgend, Wales are facing repair bills after a petrol station mixed up the diesel and unleaded pumps when refilling them. It has been reported on social media by several motorists who filled up at Applegreen Petrol Station on Tremains Road, that their cars have either broken down or were performing very poorly. 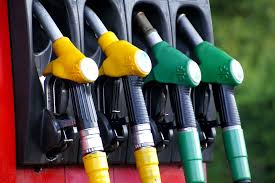 According to the company’s spokesperson, the problem was caused by a petrol haulage contractor accidently filling the stations unleaded fuel tank with diesel – which then meant drivers filling their cars up with what they thought was unleaded petrol got a mixture of unleaded and diesel. One of the affected drivers set up a Facebook group to make others aware of the issue and to put pressure on Applegreen’s head office in Bedfordshire who he said had been slow to respond although he said the manager at the local station had been very helpful. Other drivers commenting on this Facebook page said their cars had either lost power or broken down altogether. And are now facing repair bills of potentially more than £500 according to one poster. The site was shut down as soon as the issue was discovered and the contaminated underground tanks and pumps are now being drained and thoroughly cleaned. The spokesperson for Applegreen said they were very sorry for this incident and have pledged to compensate those drivers affected.